A few weeks ago, I was lucky enough to attend a TENS unit training with Penny Bussell Stansfield, a DONA doula trainer. But what is TENS, you ask, and why are you writing about it on a doula blog? Well, TENS stands for transcutaneous electrical nerve stimulation. It’s a common comfort measure used by people with all sorts of pain. 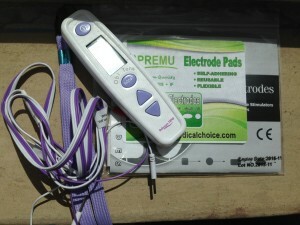 The training I took, however, was all about how to use the TENS specifically for–you guessed it!–labor! TENS are apparently often used for labor and birth in Canada and the UK, but not seen very often here in the US. TENS machines are small, battery-powered devices (see above) that use electrical stimulation to “take the edge off” of pain by blocking pain signals to the brain. The effect is often compared to acupuncture. To me, it kind of feels like a back massage, the kind you’d get in a pedicure chair at the nail salon. It’s buzzy and light, not discernible by anyone other than the person using the unit. It works by connecting to sticky electrodes you place on your back, which hook into wires. Then, you control the intensity of the stimulation on the unit itself. What makes TENS so awesome? Well, it’s handheld, controlled by the laboring person, doesn’t interfere with any other comfort measures or monitoring (except epidural and bath/shower) and, perhaps most importantly, lets you continue to move around as much as you want while you labor. The unit goes up to level 7 (and level 7 is pretty strong!) so you can get more stimulation as your labor progresses and contractions get stronger. It’s really an awesome option, with basically no side effects. Want more information? Here’s an About.com article about labor TENS and a short info sheet from MedScape (authored by Penny Simkin, who is basically the godmother of modern labor support). I bought my own TENS that now lives in my bag along with my other doula tools. 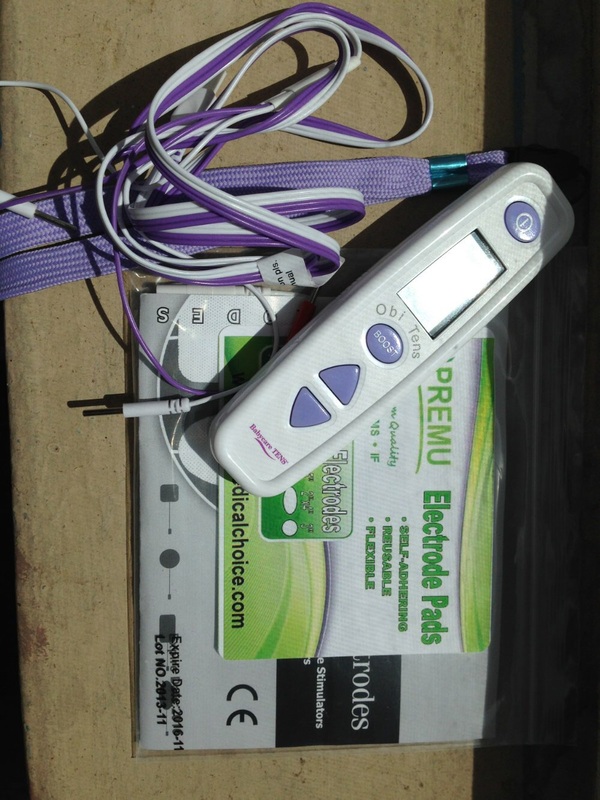 Each of my doula clients who is interested in using the TENS during their labor gets their own (reusable) set of electrode pads and an informational sheet about TENS that they can share with their care providers. 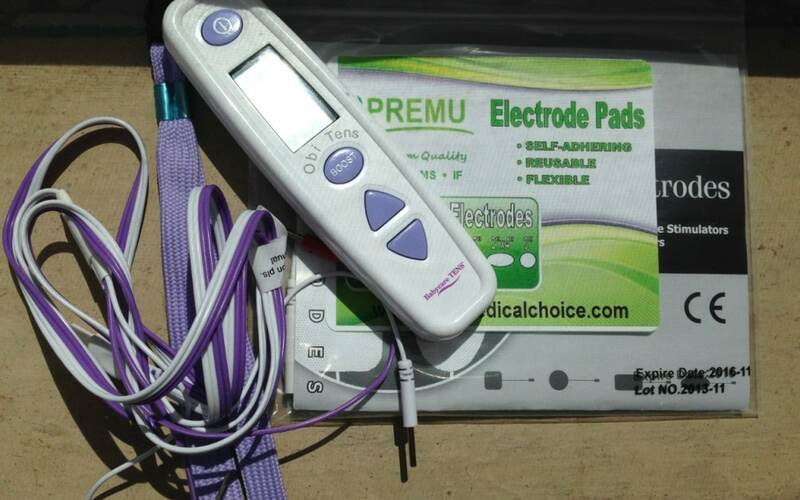 I’m so excited to be able to offer TENS as another comfort measure and pain relief option to laboring people!